Contact us for a poster. We encourage you and your colleagues to nominate up to four students from your high school by providing their names to jaxacssection@gmail.com by February 28, 2019. Students can use past National Exams available at www.acs.org/olympiad to prepare. Once we have received the nominations from all of the local high schools willing to participate, the Jacksonville Section of the American Chemical Society will distribute a local examination to participating high school teachers. We ask each high school teacher to administer the local USNCO exam and return the examination answer sheets to the Jacksonville Section of the American Chemical Society by March 22, 2019. The ten highest scoring students will participate in the USNCO national exam on April 27, 2019 at the University of North Florida. Pictures from previous events are available on our American Chemical Society (ACS) - Jacksonville Section Facebook group. 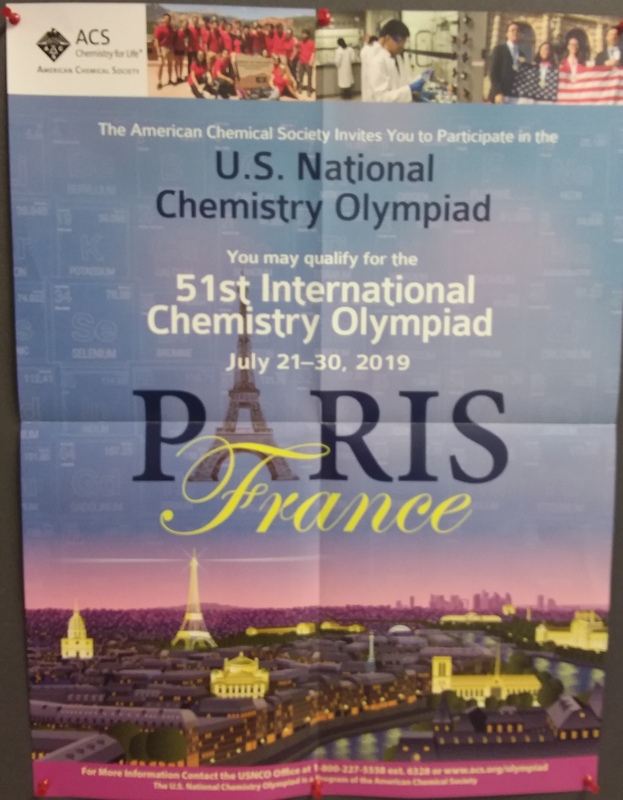 2019 ACS Chemistry Olympiad announcement. RSVP in the link contained in the 2019 ACS JAX Banquet announcement. Seating is limited thus we must receive your reservation by April 3, 2019.